In its purest form, gardening is about connecting with the earth and resetting our clocks to the simple, natural rhythms of life. Bad backs and accidents can spoil the pleasure of gardening. Taking an ergonomic approach to gardening can help ensure that it is a safe and enjoyable hobby. The daylight is long and powerful in mid-summer and plants grow at an astonishing rate. Damping off is the single term used to describe underground, soil line, or crown rots of seedlings due to unknown causes. Most Japanese Maple seeds ripen in the fall. Watch the tree and wait for the seeds to turn brown. It is virtually impossible to keep your indoor garden - conservatory, greenhouse, window sill or potted plants - entirely free from pests. The goal should be to keep the level of infestation down as much as possible. If you have a garden, you are guaranteed to have slugs and snails. Trial points to the value of prunings as a source of new plants. For those who live in flats or detached homes, hanging baskets, flower pouches and planters are a great way to utilise the space in small gardens and spread greenery over places that might otherwise look quite dull. Ferns were hugely popular in Victorian times. This is how their care and propagation were described. A water feature can enliven a garden, providing a focus for a sitting or planting area. Pumps are available in both submersible and external (out-of-pond) models. The advantage of a log cabin is that it can be warm and cosy throughout much of the year, giving you that alternative space and 'get away' feeling in which to work, read or simply enjoy the garden. In his bestselling Square Foot Gardening Mel Bartholomew advocates limiting the amount of space - and therefore time - devoted to 'each vegetable, chore, and step in the garden'. 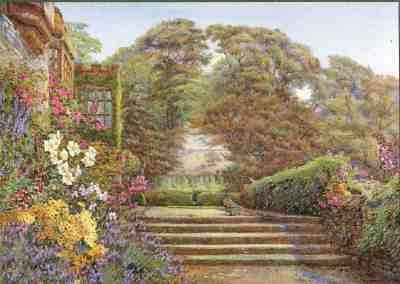 Gertrude Jekyll (1843-1932) aimed for 'beautiful effect' and had a lasting effect on gardening. 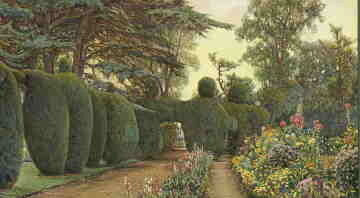 The garden featured long stretches of water, avenues of elms, limes and horse chestnuts, cedar trees, an elliptical bowling green and the Great Hedge. This yew hedge was over 600 metres long, 3 metres thick and 2-8 metres high. 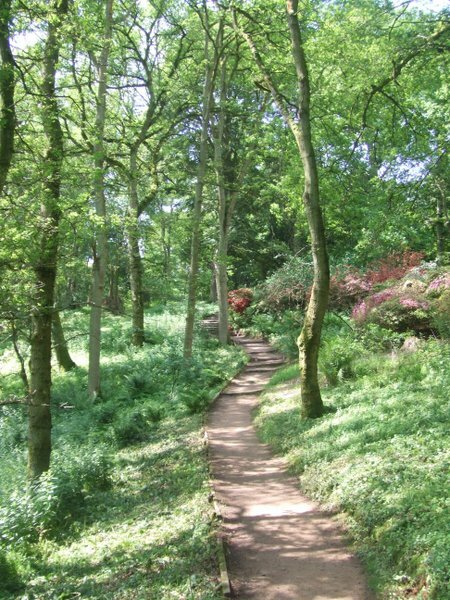 By the early 1900s the gardens were hoplessly overgrown and a massive clearance was required. Yew trees and herbaceous borders were planted and the ivy stripped from the balustrades to be replaced by climbing roses. How often you mow your lawn will depend on a number of factors. Organic gardening is fashionable and many people try to garden without using chemical pesticides and fertilisers. But what exactly is 'organic gardening'? 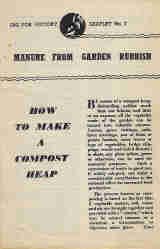 And what are the principles of organic gardening? They breed like rabbits and grow like weeds - and they can be very hard to kill.